Habari Gani? Kujichagulia (Self-Determination)! “To define ourselves, name ourselves, create for ourselves and speak for ourselves.” We celebrate this Kwanzaa principle today with a post by Justin Scott Parr, author of the Sage Carrington middle-grade series. Inspired by his little cousin’s curiosity about his travels to Africa and Latin America, Justin created his first novel, Sage Carrington: Eighth-Grade Science Sleuth which blends culture, history and mystery. The titular character is a 12-year-old African-American girl who loves science, baseball and fashion and treasures her friends. 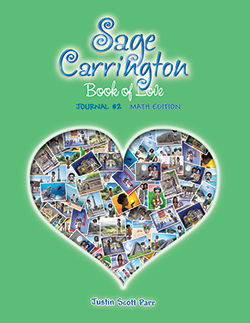 His second novel, Sage Carrington: Math Mystery in Mexico City, and the second companion journal, Book of Love: Math Edition, debuted earlier this month. His engaging website, www.sagecarrington.com, transports you to Sage’s world through educational and fun activities like “Realizing Your Civic Power” and “Cultivate a Garden,” a peek inside Sage’s best-friends journal that she shares with BFF Isabel Flores and a profile of Sage, Isabel and their friend Benji. 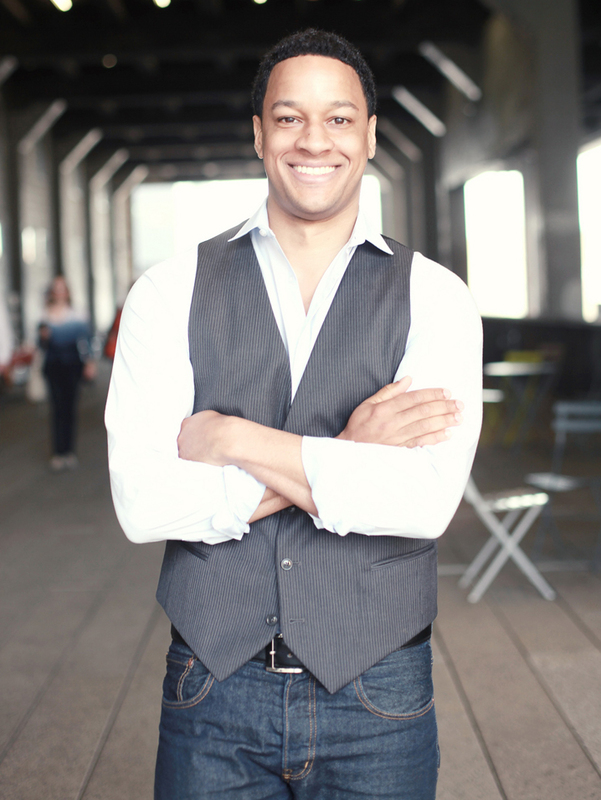 Learn more about Justin, a former web developer for Oracle, in this Black Enterprise feature. I was born and raised in Greensboro, North Carolina and am a lover of all things science, math, and technology related. An adventurer at heart, I impart my love of “the journey” into each Sage Carrington tale. My first international travel was to Africa…the Nile Valley of Egypt. That voyage changed my life by awakening a deep historical curiosity. Since then, I’ve accumulated wisdom from myriad travel experiences, and I want to help kids learn about the various cultures and vibrant locales that make our world such an incredible place. Sage Carrington is the vehicle that allows me to do this. Nefertari Sage Carrington is a 12-year-old girl who lives in Washington, DC. She’s also a math and science lover who enjoys exploring the wonders of our natural world. Along with her best friend Isabel Flores, Sage is a confident, curious, intelligent girl who lives in a thriving community that enables and encourages her pursuit of happiness. How is Sage Carrington different from other characters in children’s fiction? Kids love unique characters who march to the beat of their own drums. And so I began with the idea of a dynamic, engaging girl who exists beyond stereotypes. Yes, she’s a black girl. And Sage Carrington is also a science geek, the star pitcher on her baseball team, and she has a funky, fresh personal style. For example, Sage sports countless natural hairstyles, and she shares a love of mismatched sneakers, jewelry, and clothes with Isabel. The most impactful characters in children’s fiction are reflections of kids’ dreams, hopes, and desires—like a mirror—and when this occurs, the readers latch on…and they won’t let go. What was the first book about? 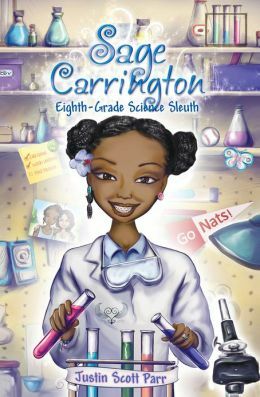 Sage Carrington, Eighth-Grade Science Sleuth is an adventure-mystery in the style of Encyclopedia Brown, The Hardy Boys, Cam Jansen, and Nancy Drew. In this first story, Sage and Isabel discover an antique treasure map near the Washington Monument. The story revolves around their quest throughout the nation’s capital using science and logic to decipher the map, outsmart a bully, and ultimately locate the treasure. 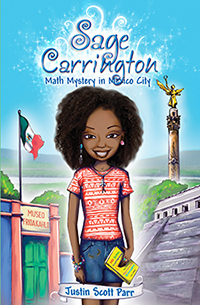 Novel #2, Math Mystery in Mexico City, sends Sage and Isabel on a journey with their parents across Mexico. The girls discover a peculiar numerical code painted inside a portrait by revered artist Frida Kahlo, and they must use their math skills to figure out what the code ultimately means. This second book has allowed me to fulfill a major goal for the series, which is to send Sage and Isabel on an international adventure, thoroughly immersing my readers in another culture. Although I’ve always loved to write, I never intended to become a children’s author. Originally, I just wanted to visit my local bookstore and purchase a story featuring positive, enriching characters who my 9-year-old cousin could identify with. Unfortunately, I wasn’t able to find an appropriate novel for middle school-aged kids featuring children of color. So, I decided to write the books that I wanted to buy that day in the store. Why write in the amateur sleuth genre? I was a reluctant reader as a child. In fact, if it weren’t for The Hardy Boys, Cam Jansen, and Encyclopedia Brown, then I wouldn’t have read much at all as a boy. Fortunately, I had access to gripping stories centered upon logic, math, science, and suspense to hold my attention. But most people don’t realize that The Hardy Boys and Nancy Drew series were first published in the 1920s, Encyclopedia Brown in the 1960s, and Cam Jansen in the early 80s. So I felt it was time for a new kid detective, a fresh face for this 21st century…a kid who’s super smart and super cool. This book series includes novels and journals, correct? Yes, each volume is actually a 2-book set: the first novel, Eighth‐Grade Science Sleuth, was published along with the full-color interactive journal Book of Love, Volume #1. The second novel, Math Mystery in Mexico City, was released with the journal Book of Love, Volume #2: Math Edition. I think it’s critical that we not only develop our children’s reading skills, but also their abilities to write. Reading and writing are two sides of the same literacy coin. Why a story featuring girls instead of boys? As mentioned previously, I wrote this book for my cousin, Destiny. It just so happens that my cousin was a girl. If my cousin were a boy, then I would have written a story featuring boys. I created Sage Carrington because I needed to find an appropriate character for her to connect with. I desperately wanted Destiny to see her skin complexion, hair texture, and sensibilities portrayed in a smart, balanced, positive character. Why is it important for you to portray children of color? All too often, books featuring black and brown characters revolve around stereotypes of dysfunction such as drug use, violence, domestic abuse, and sexual exploitation. Another common tendency is a narrow focus on historical and biographical topics. These books are important, but I think we should also tell contemporary stories in which our kids can immerse themselves in modern-day tales of adventure and mystery. How were the first volumes of this Sage Carrington series produced? In 2012, I self-funded novel #1 and journal #1, and in 2014, I self-funded novel #2 and journal #2. Costs are significant and include everything from book editing, interior layout, and proofreading to cover art, cover design, and over 100 original illustrations. This is truly a labor of love, but I’m just following my dream to do something about the lack of children’s books featuring positive characters of color. Plus I figured there must be a market for these stories. The void is huge, so surely other buyers are just as frustrated as me. So far my hunch has proven correct. Within 24 hours of the first book’s release, Eighth-Grade Science Sleuth reached the bestseller list. And novel #2, Math Mystery in Mexico City, is now also a bestseller. What’s your opinion of the current landscape in children’s literature? Children’s literature is booming. In fact, young-adult fiction is growing faster than the adult market. Books have never been more popular. Of course, the concept of a “book” is changing with digital readers and other electronic devices displacing paper. Nonetheless, a story well told is still in high demand, and parents, educators, and kids are all thirsting for quality books. What’s your vision for Sage Carrington? My vision is to grow the Sage Carrington platform. As we all know, children’s brands lend themselves very well to licensing and merchandising, so it’s easy to envision Sage Carrington notebooks, backpacks, and apparel. I also plan to adapt these stories into other formats, particularly live theater, episodic television/web series, and feature films. Are you available for school visits and library readings? I enjoy few things more than visiting schools to talk about reading, writing, and Sage Carrington. I’ve delivered presentations in classrooms and libraries across the country for students from kindergarten through 8th grade, and I’m available to visit schools, libraries, and community centers. How can we learn more about Sage Carrington? You can find illustrations, games, and learn more about her at www.SageCarrington.com. You can also connect with Sage on Twitter, Facebook, and Pinterest. Her handle across all of these sites is /SageCarrington. Meet Justin Scott Parr, African American author of the Sage Carrington series of books encouraging the exploration of math and science, geared towards middle school students! Oh, GOOD OLD Encyclopedia Brown!!!!!!!!!! How I wished for a female counterpart; I’m so pleased about this character!